Is Mississippi the next state in the south to turn green? State Representative Joel Bomgar (R-Madison) sure hopes so, as he recently introduced House Bill 179, titled the “Mississippi Medical Marijuana Pilot Program Act”. HB 179 aims to provide some of Mississippi’s sickest patients with high quality cannabis oil and edibles, and it addresses most aspects of the medical cannabis industry, from growing to processing, and sales. Those are the base conditions that House Bill 179 covers, but it does provide that any resident of Mississippi can petition the department to add debilitating medical conditions. Petitions are to be decided on within 180 days of receipt. What are the highlights of the Mississippi Medical Marijuana Pilot Program Act? HB 179 only allows oral consumption of using marijuana, such as concentrated tinctures, edibles, beverages, and topical creams or ointments. HB 179 does not allow the patient to smoke or vaporize marijuana flowers. Caregivers must be at least twenty-one years of age, have significant responsibility for managing the well-being of their patient, and be free of any felony convictions. Caregivers are only allowed to treat five qualifying patients with cannabis as therapy. HB 179 does not provide job protection to medical marijuana patients. It does, however, provide protection for doctors and lawyers to deal with patients and cannabis-related businesses. A statewide online verification system will be created within 120 days of passage of HB 179 that will give law enforcement and medical personal access to medical marijuana patient registration information. Qualifying patients should not be under the age of 18, except for exceptional cases where the physician has explained thoroughly the risks and benefits of using cannabis to treat their child’s illness or disorder. After that the parent must give written consent; the parent accepts responsibility as the caregiver, and the parent must assume responsibility for the acquisition of the cannabis product. 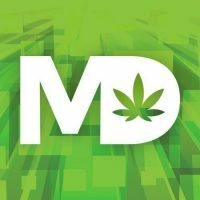 The state will begin accepting applications for the registration of “therapeutic marijuana establishments” by January 1, 2018, which will include three dispensaries and one marijuana testing facility. Additional applications will be accepted a year later, and then another round of applications will occur in 2020. Representative Bomgar took on the mission to establish a statewide medical marijuana program after watching his mother and father endure intense chemotherapy before succumbing to cancer. The treatment left both of them weak and sick, unable even to keep food down. Bomgar believes medical marijuana could have been the answer to a better quality of life despite the brutal cancer symptoms and treatment. You can read the text of the Mississippi Medical Marijuana Pilot Program Act below or click here to download a PDF. It really should be. Several of close relatives could’ve used this during their treatment.. so tragic that they could’ve had access to something that would’ve helped, but it wasn’t allowed for whatever reason. It’s a new time, we now realize this is not a bad thing. Give us Americans our right to choose. What a joke; so Mississippi will only allow you to consume Marijuana they have corrupted, tainted & defiled. Smoking marijuana is substantial healthier than these concentrates that they drain out of the bud with butane. Don’t be mistaken this bill is taking a big step away from true legalization. This is just big pharma ensuring they get more money. Its a plant, the concentrate isn’t better; should we start consuming corn and lettuce concentrates instead of just eating the plant? Just make it legal; I mean they are already selling the cbd bud strains in gas stations illegally under the 2014 farmers act.